Get it? Heartbeets? 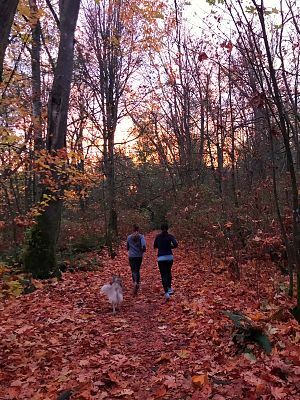 We’re the Vancouver run club powered by plants! 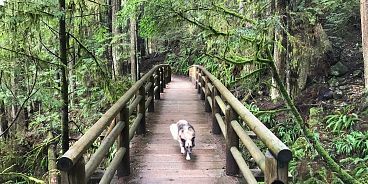 We love running on the seawall and in the forest, four-legged friends are always welcome and we loooove sipping on green smoothies and chatting about everything plant-based as a group post-run. All are welcome! ABOUT HEARTBEETS RUN CLUB: This group was born out of a passion to connect with community and spread the good word about the magic of a plant-based diet. During my athletic career playing NCAA Div. 1 volleyball in South Carolina, I was a ‘proud carnivore’ and focused on eating as much animal protein as possible. Ironically, I remember never feeling full. I was a bottomless pit and figured all this meant was that I should eat more meat. I didn’t realize that what I was eating was the problem. Years later, after watching documentaries like Forks Over Knives, I transitioned to a plant-based diet and, for the first time, felt fully satiated. All along, I’d been lacking nutrients and proper fuel. Plants are what my body was hungry for! I also noticed a change in my energy. I went from dreading my runs and dragging my feet, to literally hopping out of bed and running further and faster than I ever had before. Feel free to join for a run to chat more about plant-based diets / running / energy levels! Email erin if you have any questions (erin at itstodiefor dot ca) about the run.